Fergus Ewing MSP, the Minister for Business, Energy and Tourism, today announced the appointment of Professor Anne Anderson, Rebecca Brooks, Cathy Craig, Stephen Hagan and Carolyn Jameson as new Members to the Board of VisitScotland. “I am encouraged to see the board of VisitScotland achieving greater gender balance through its latest appointments round. This Government is committed to making meaningful and lasting progress towards true gender equality – towards shattering the glass ceiling for good, and I am delighted that VisitScotland is helping to lead the way. “Tourism is more than a holiday experience - it creates jobs, sustains communities, provides an international shop window for Scotland and causes a ripple effect which touches all business in Scotland. "Our new board members represent a breadth of knowledge across a range of industries which will bring fresh thinking and new ideas to the board of VisitScotland as well as complementing the strengths of the existing members. Professor Anne Anderson OBE FRSE is vice-Principal of the University of Glasgow. In this role and previously as vice-Principal at the University of Dundee, she has been very active on the international stage. She has very actively promoted Scotland to prospective students and staff and has overseen large increases in international students and developed strategic partnerships in Canada, the United States, China, Oman and Azerbaijan. She has also raised the profile of Scotland as an attractive place to study and visit. 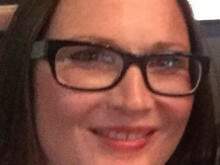 Rebecca Brooks is a graduate of St Andrews University and has worked in international tourism for the last fifteen years. A former director of JAC Travel, her current role is Managing Director of Abbey Tours Scotland, a leading destination management company. As such, her experience has been formed on all international inbound markets to Scotland and the UK. 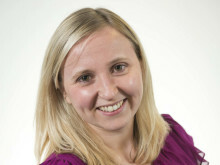 Rebecca is also a Director of European Travel Services, recently acquired by the Abbey Group. 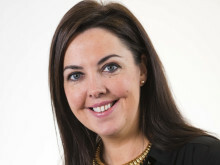 She has served as a former Chair of the Scottish Destination Management Association and is currently a Director of the Scottish Tourism Alliance. Cathy Craig - is an experienced manager who has worked across a number of disciplines and industries. She has expertise in sales, marketing, business development and change management and has been involved in tourism development for the last three years with a track record of improving visitor numbers and developing visitor experience. Cathy has expertise in transport provision within Scotland and its role in developing visitor numbers and experience. Stephen Hagan is a Civil Engineer graduate who is now a farmer and independent councillor with Orkney Islands Council having served as served as Convener of the Council from 2003 to 2012.He is the COSLA spokesperson for Development, Economy and Sustainability and was previously Chair of Orkney Ferries and a non-executive Director with both NHS Orkney and the North of Scotland Water Authority. He has a good understanding of remote and rural areas and brings a wealth of experience of partnership working with the public, private and third sectors along with strong leadership skills. Carolyn Jameson is a qualified solicitor who has spent a large number of years working within the technology sector. Her roles have included commercial, legal and leadership roles on an international basis. She is currently working within the online travel sector as Chief Legal Officer for Skyscanner. The appointments will be for three years and run from November 1, 2015 until October 31, 2018.The appointments are part-time and attract remuneration of £343.12 per day for a time commitment of two days per month. The appointments are regulated by the Commissioner for Ethical Standards in Public Life in Scotland. Professor Anderson is a Commissioner of the Commonwealth Scholarship Commission and spends six-eight days per year in that position. She is also a Member of the British Council Scotland Advisory Board and spends four days per year in that position. Neither position is remunerated. Mr Hagan is a non-executive Director on the Board of David MacBrayne Limited for which he receives £314.00 per day for a time commitment of approximately three days per month. Mrs Brooks, Mrs Craig and Mrs Jameson do not hold any other Ministerial public appointments. Mr Hagan is currently an Independent Councillor with Orkney Islands Council. Professor Anderson, Mrs Brooks, Mrs Craig and Mrs Jameson have not taken part in any political activity in the last five years. VisitScotland is the lead Scottish Government Non-Departmental Public Body responsible for growing and developing Scotland’s visitor economy and for advising Ministers on policy. It has wide statutory powers to promote tourism and has a budget of around £50 million per annum. It is funded in part by the Scottish Government, and the Minister for Business, Energy and Tourism makes appointments to the Board which currently has nine members including the Chair. VisitScotland has a strategic role as the lead public sector agency providing leadership and direction for the development of Scotland’s tourism economy to get the maximum economic benefit for Scotland.Its core purpose is to grow and develop Scotland’s visitor economy sustainably through its core activity of marketing and events and by working in partnership with businesses and communities. 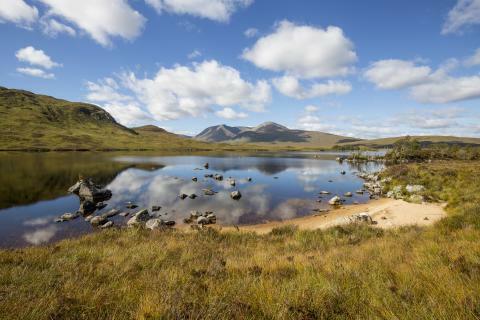 VisitScotland is a national organisation with a number of regional offices. Local activities are led by a team of Regional Directors and Island Managers.